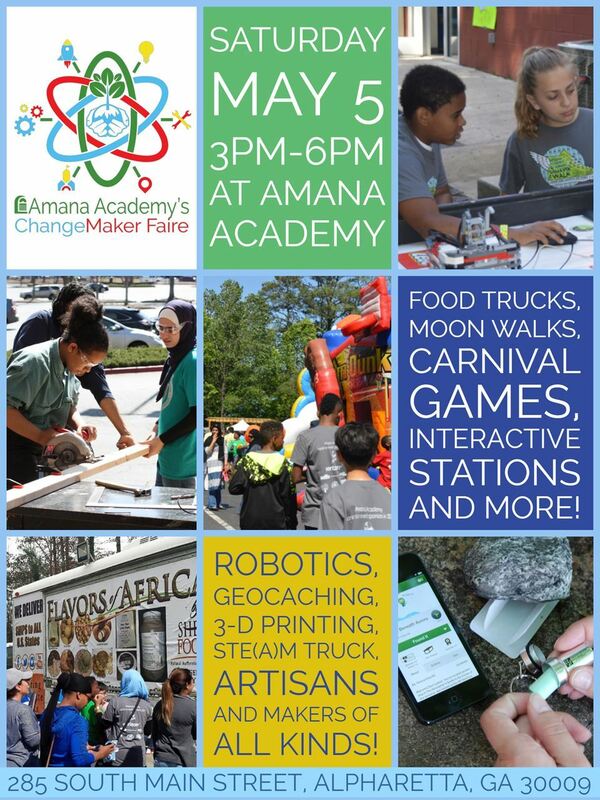 Coinciding with Georgia STEM Day, Amana Academy's ChangeMaker Faire is a family-friendly showcase of invention, creativity, and resourcefulness - a true celebration of the Maker Movement with an eye toward building a better world. Attendees will enjoy moonwalks, food trucks, all kinds of STEM-themed activities and Geocaching in Wills Park. Featuring demonstrations by local innovators and artisans. $20 for kids ages 3-15; Adults are free.